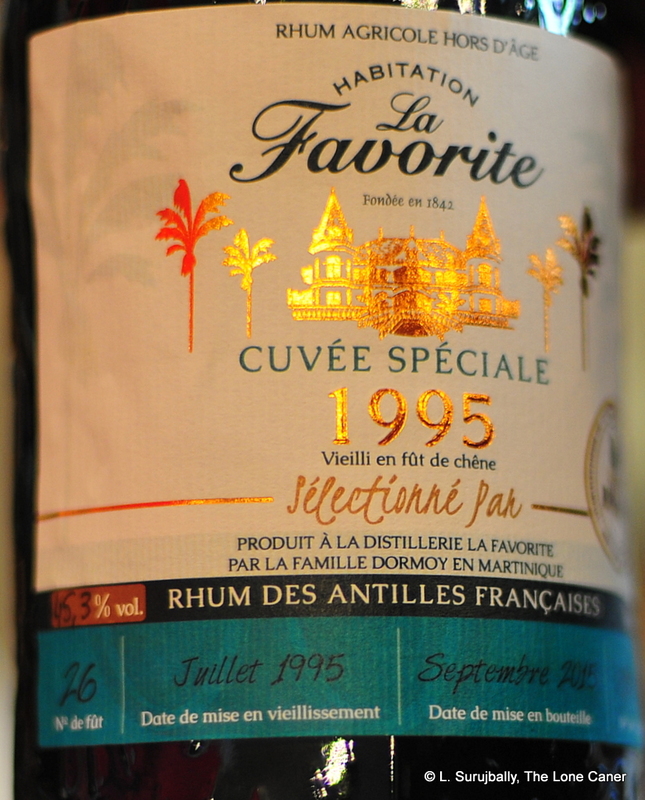 A delectable rhum, of an age we don’t see very often these days. 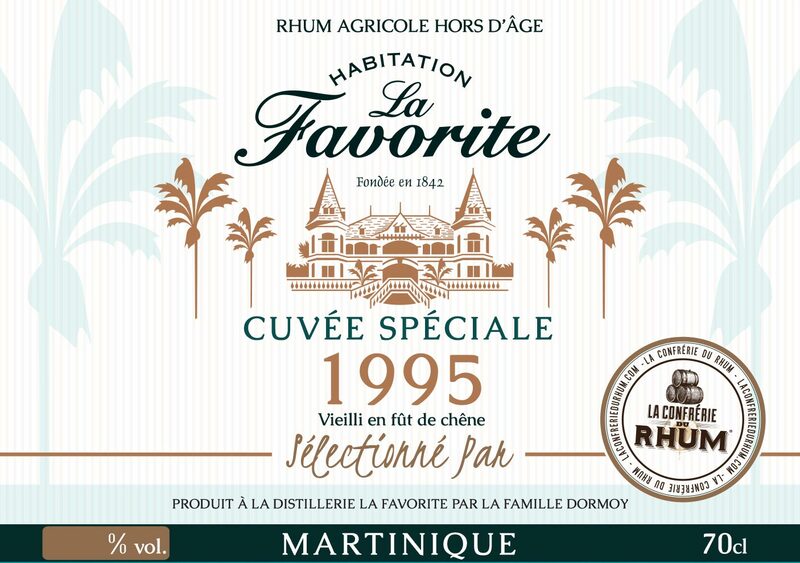 Anyone who thinks agricoles are an afterthought in the rum world and should only be taken when one runs out of the more common brown-based stuff, would do well to sample what La Confrérie Du Rhum and La Favorite issued last year. La Confrérie is actually not a company — translating into “The Brotherhood of Rum”, it is the largest Facebook rum group currently in existence — its French language antecedents don’t stop it numbering nearly sixteen thousand members when last I looked (for comparison, Ed Hamilton’s Ministry of Rum FB page has around seven thousand, and the Global Rum Club is right behind it at six thousand or so). A few years back, one of its founders, Benoît Bail, decided to make some bottlings of well known companies and issue them to the market, some solo, some in collaboration. 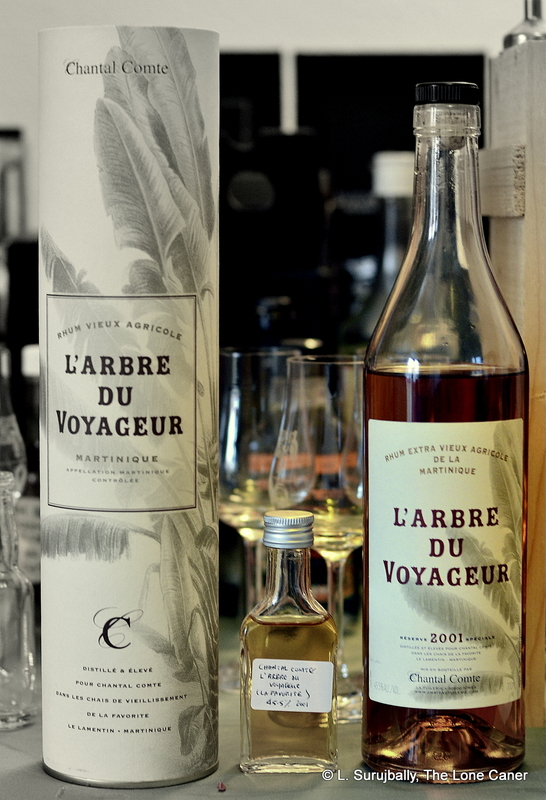 The WIRD and Damoiseau editions were bought via the broker EH Sheer, while Les Ti’Arrangés de Céd, Longueteau and La Favorite were taken from the source plantations themselves; five more are in the pipeline over the next two years. This one came out in November 2015, and for my money, it was worth the wait. 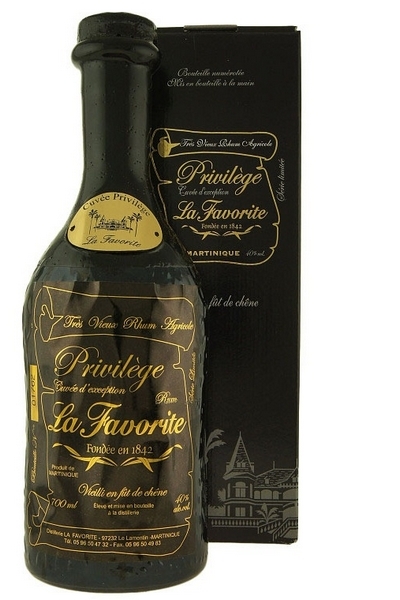 Some brief facts – it is a column still product made on Martinique by La Favorite (who also made the very excellent Cuvée Privilège 30 Year Old), aged in white oak and issued at 45.3%. I was informed that just about the entire process is manual, down to the little old lady at La Favorite who glued the labels to the bottles one by one (I begged for her name and some background, but Jerry didn’t know, alas). Four casks were selected — numbers 25, 26, 27 and 42 — and exactly one thousand bottles were issued. Was it any good? Oh yes. I mean, I could almost smell the age on the dark orange-amber rhum. Well, maybe not, but the scents of dusty, rich berries and dark plums reminded me somewhat of the Cuvée Privilège, whose haunting quality has resonated in my tasting memory to this day. Blackberries and blackcurrants, very ripe cherries, juicy and thick, billowed out of the glass, followed, after many minutes, by cedar woodchips, aromatic tobacco, before morphing sweetly into a creamy smell of Danish cookies and maybe a butter-daubed croissant or three. It was soft, easy going, distinct, with each olfactory note clear as a bell yet harmonizing like a well-oiled choir. With some rhums, like the Boys from Brazil I looked at recently, there was a radical difference between nose and palate. Not here. 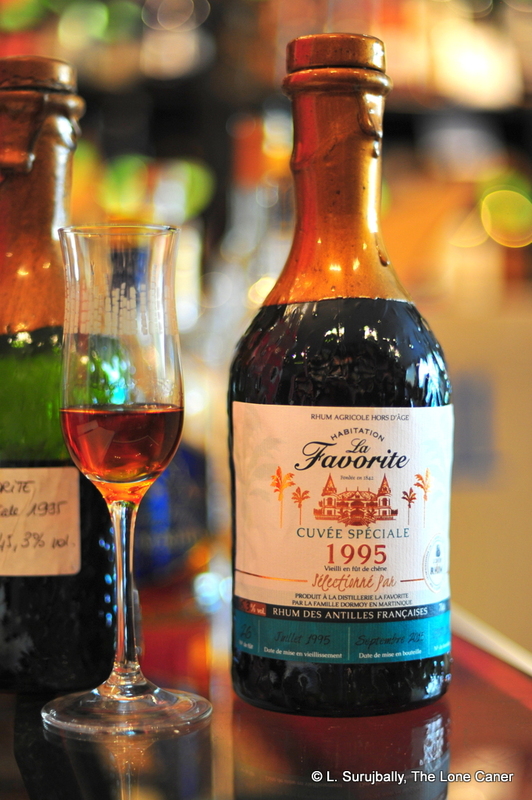 The Cuvée Spéciale 1995 segued smoothly and easily from one to the other without a pause, enhancing what had come before. It was soft, earthy, even slightly salty, just avoiding maggi-cube brininess by a whisker. It presented separate hints of caramel and vanilla, very faint molasses, a good brie, black olives, with just enough sweet to make it ravishing. Once a little water was added, things proceeded in stately order, with yet additional flavours of raspberries, sawdust and freshly brewed coffee emerging. Nothing particularly distinctive or new came out of the finish, which was thick and breathy and longish, but it seemed churlish of me to mark it down severely for something that had done such a great job at all the preceding elements. The craftsmanship of the the Cuvée Spéciale was not in how much was going on under the hood of its taste profile, but how what did purr away there, came together so well. There was not a single element of the taste that didn’t deserve to be there, nothing rubbed wrong against anything else, and nothing seemed added to simply grab our attention, or to shock us. Every component was refined to a sort of zen minimalism, and was there for a reason, lasting just long enough to notice it, enjoy it, and then smoothly move to the next one. As is more common among independent bottlers, La Confrérie and La Favorite have little interest in pulling our chain, yanking our shorts or introducing anything radically new, and simply wish to inspire our appreciation with a product properly executed and exactingly chosen. They have succeeded. This is a lovely rum, and my appreciation is inspired. Full disclosure: Jerry Gitany, a co-founder of La Confrerie, asked me to try this one when I was in Paris earlier in 2016, so it was a free sample. I had already bought seventeen rums from him by that time, and much as I liked it, didn’t want to add to what was already a hefty bill. Maybe I should reconsider.